MINT-EASE – what is it and what does it do? frequently given to stop vomiting. Apparently this particular kind of oil is favoured for its high menthol content. Read about mint oil cultivation here. What does Menthol do for muscles? 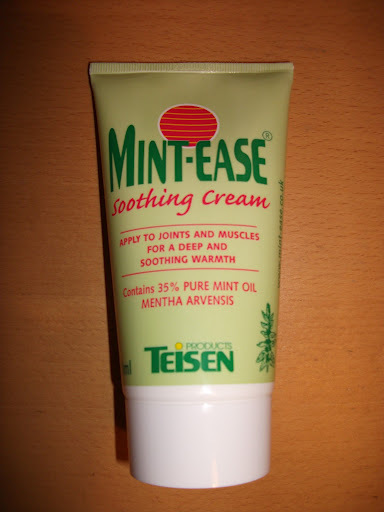 How was MINT-EASE for me? I have used deep heat in the past, personally I thought that all it did for me was warm my skin and make me smell funny! I have used many different topical applications to try and sort out muscle aches over the years. 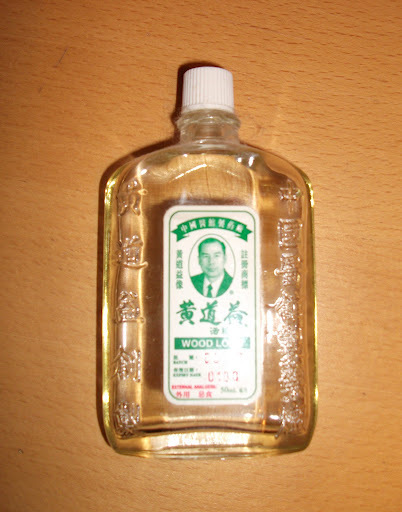 I found a Chinese herbalist (who has long since gone unfortunately) and he gave me a massage, using wood lock oil. I have a very small amount left of it, and I found it to be great stuff, but can no longer replace it. It gave be a burning cool glow, and really helped ease muscle soreness during a time when I was suffering from whiplash following a car accident. The unfortunate thing with it was that it is not a massage oil, so it soaks in and that is it, making further massage rather tricky. The main difference seems to be that wood lock contains menthol (cooling) and methyl (warming) whereas mint ease contains just menthol. Comparing the difference between the two main ingredients, it seems that menthol has a deeper benefit, also associated with +aiding osteo arthritis, whereas Menthyl salicylate has more topical effects, warming the skin, and less is mentioned about deeper effects. I would have said I highly recommend Mint-Ease before I even began this blog, it is as good as the old Chinese herbalists ‘wood lock’ oil. However, I was not satisfied simply with that. I needed to know what was in it and why it might work. Research has simply backed up my initial hunch, and now I understand why it works so well.